What Interests You In An Anime? I’ve wonder what exactly gets you interested in watching an anime. Is is because the anime is quite popular, the characterization, the music, the plot, or just because it looks cool? I had no idea what the show was about but I knew that there was a lot of talk about these shows in the anime community. So because of this it made me want to watch these shows and see what all the fuss was about. But how about all of you? What makes you want to watch an anime? Comment down below and let me know! ← Anime Influences In American Cartoons! For me, it’s a combination of the premise and the art style. I tend to check out general plots and maybe an AMV/opening video if I’m interested in a show. Oddly, popularity can be off-putting for me. If I pay too much attention to hype, series can fall flat for me. If I avoid the hype a little, I can give it a slightly more fair viewing. That is also true since I’ve had where the hype didn’t really live up to the show. I don’t want animes because they are popular, I watch what interests me. That is also a great thing. The most important thing for me is the plot. Then comes the art. I don’t really care if the anime is popular or not. There re many amazing anime who are very under-rated. Yeah the plot of a show definitely is what can make or break a show. Yeah the voice actors for me mostly when it’s dubbed makes me decide if I should watch a show sometimes. Probably first what grabs my interest is the story and secondly the characters. Yes that is also true. Attack on Titan is great because it avoids pretty much all the cliches, making it pretty unpredictable. The characters are also interesting complex, and develop really well. The opening gives you super powers or something- makes you feel like you can take out an giant wrestler dude. The animation is pretty breathtaking. Attack on Titan is my favorite anime so I don have quite a bit of bias- but it really is a unique and special treat. Yes Attack on Titan was definitely a great anime that kept me guessing! Also great review on SAO! For me is when the anime is talked about. 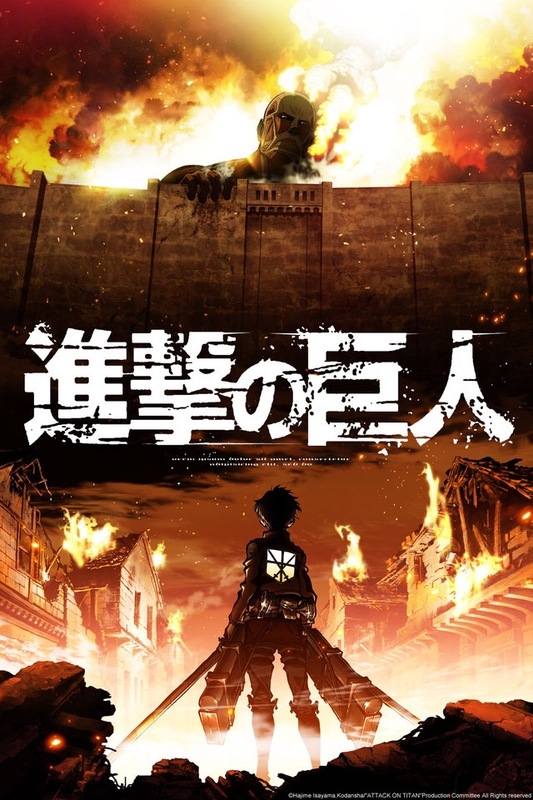 I didn’t Attack on Titan but after hearing what people said good things about, I decided to watch it and I enjoyed it. I like anime for story and music. If a show has a intereting plot, I get hooked on it and eagerly wait for the new episode. Like the SAO you used, I enjoyed the music, it was either peaceful or breath-taking. Yeah same if the plot used is interesting then I’m hooked also the music. When it comes to anime, I really like the music. The opening and the ending themes are my reasons for coming back. So far my favorite music from anime would be Clannad. For me right now my favorite music is from the anime Nana. For some reason I just really like it! That sounds awesome. Funny that most anime have the best music. Especially when it is your favorite anime. I will admit, I still haven’t seen Nana but based on your opinion it sounds promising XD. Okay. Hopefully soon, there are a lot if anime I need to finish haha. Besides Toonami, I need to finish Durarara!! x2 Ten. Yeah same for me too so I definitely understand. 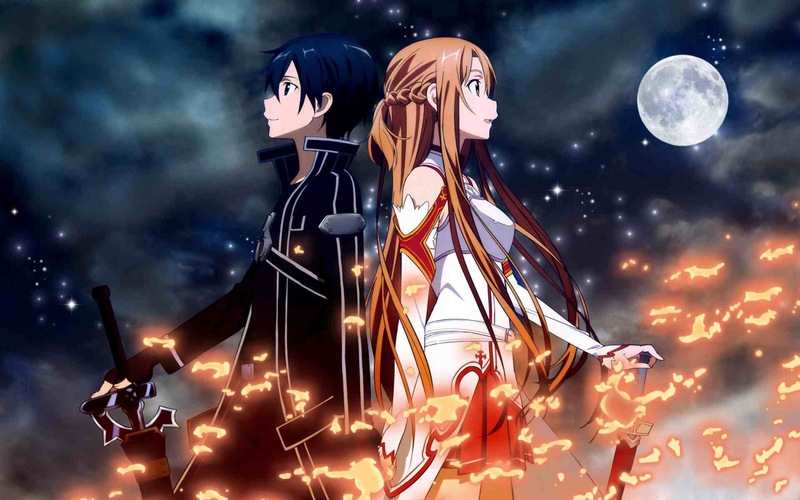 Sometimes I wish I can escape from reality and go to an anime like SAO. Same here! But I don’t think I would like to get stuck in the game haha. Definitely not. I like SAO but I don’t want to get trapped for 2 years lol. Me too. Great idea but very dangerous. It’s either that or get the Nerve linker from Accel World. I wouldn’t want to be in DBZ. That place is destructive and I don’t I will last haha. I know!!! You would fear for your life everyday. Especially when the bad guys can instantly charge up and blow up a planet, unless it is like Namek where the planet was supposed to blow up in 5 minutes but it happened hours later XD.